When you start planning a wedding, the first step is often to browse what products and styles are out there. This year, newly engaged couples are in for a treat with stunning new designs, classic colours and elegant accessories to tie in with all sorts of themes. 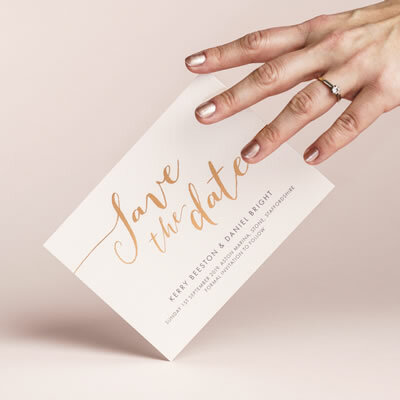 Read on to see some of the most irresistible wedding stationery trends for 2019. 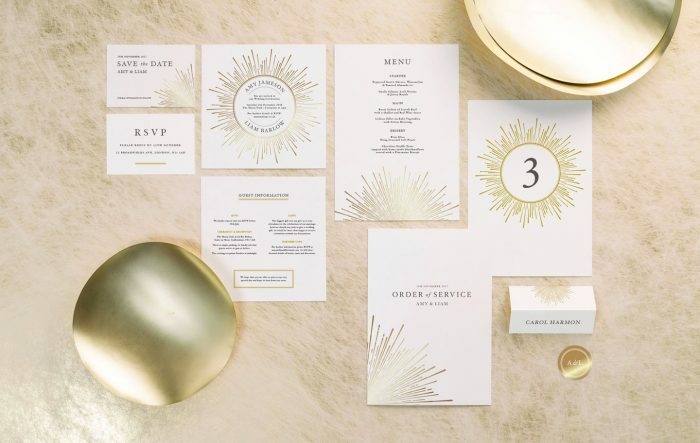 Although gold has always been a stationery favourite, this shimmering shade is growing in popularity again. For 2019, the trend is likely to soar with many couples adding a splash of gilded décor throughout their day. The appeal is its versatility and prowess in adding a hint of glamour to even a modest wedding theme. 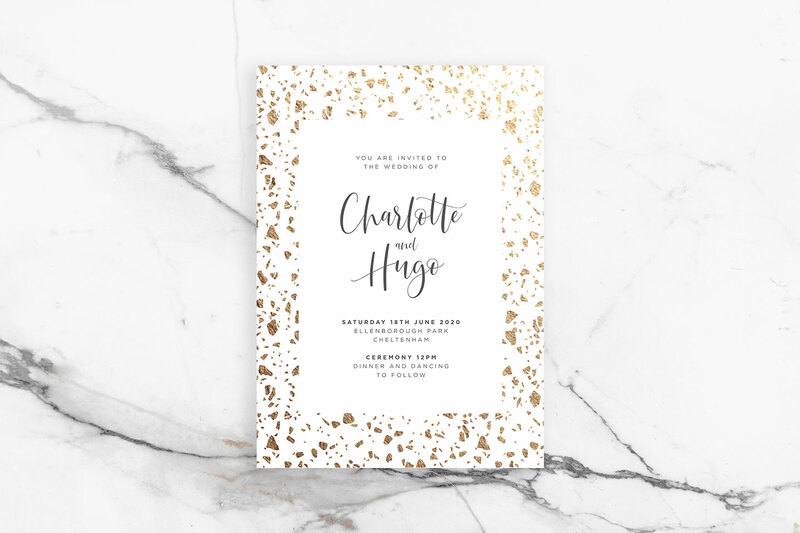 Gold foil wedding invitations are a stylish introduction to your celebrations, then you can adorn reception tables with gleaming gold trinkets and on the day stationery. 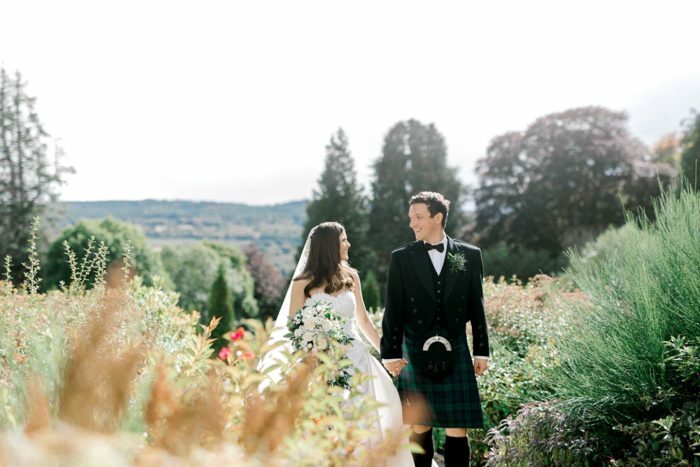 More gold inspiration: Take a look at Rachel and Robert’s wedding with a touch of Gatsby glitz and Carolyn and Andrew’s understated Edinburgh wedding. 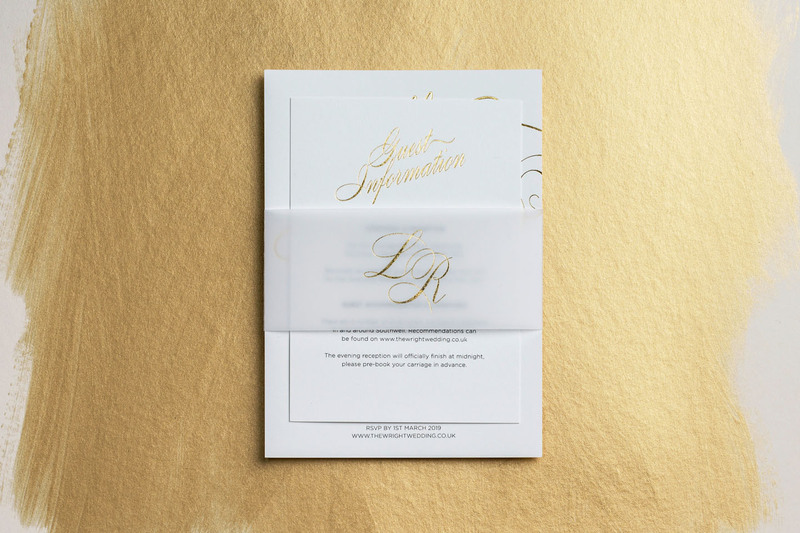 Last year’s top trends saw wedding invitations sent out in style with envelopes featuring foil stickers and monograms. 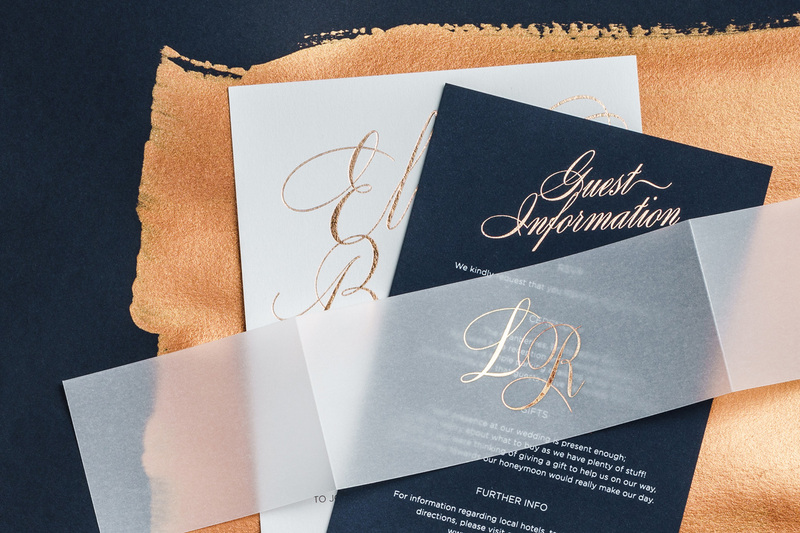 While these personalised finishes are still popular, 2019’s look will go a step further with the arrival of translucent vellum invitation accessories. 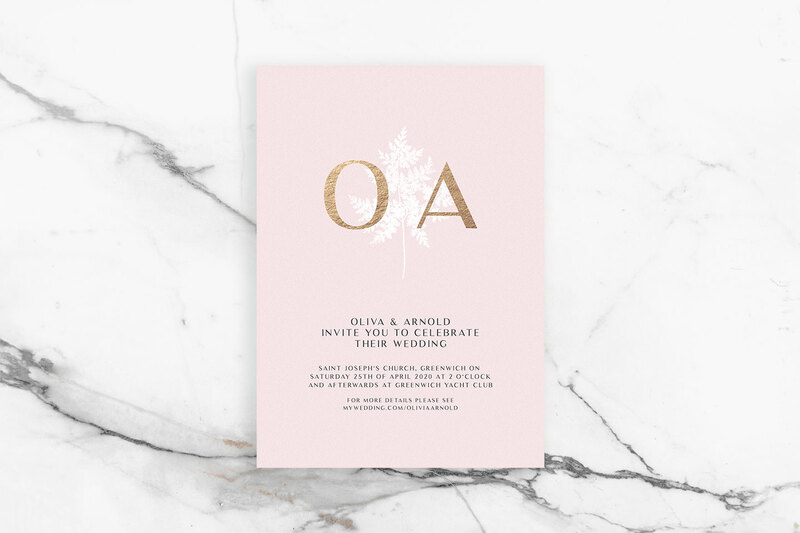 These ethereal belly bands and wraps give guests a glimpse of each beautiful stationery layer before they open it, and they look oh so sophisticated when combined with foil. Vellum stationery is coming to our online shop soon. Get in touch for more details. With reports that weddings abroad can actually cost less, many couples are now opting to travel further afield for their nuptials. This exciting trend means there’s a renewed desire for luxury stationery that uses original ideas to set the tone for a trip to foreign soils. Designs using passports or airplane tickets are tired and a bit cliché these days, so understandably people want something new and unique. We developed our Destination Save the Dates as the perfect solution with a bespoke map that’s hand-printed in foil. 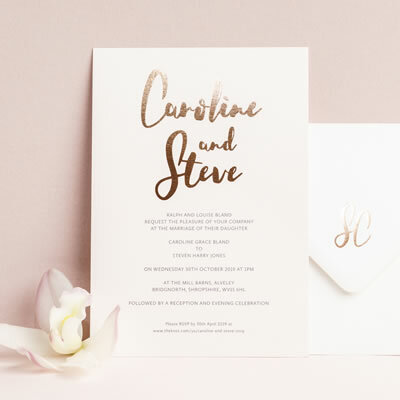 A focus on florals is tipped to be a hot wedding stationery trend in 2019. It makes sense – when you spend time finding the perfect flowers for your big day, why not use them for your invitations too? Pinterest is packed with ideas for fabulous florals, and the key is choosing seasonal blooms that complement your colour scheme. 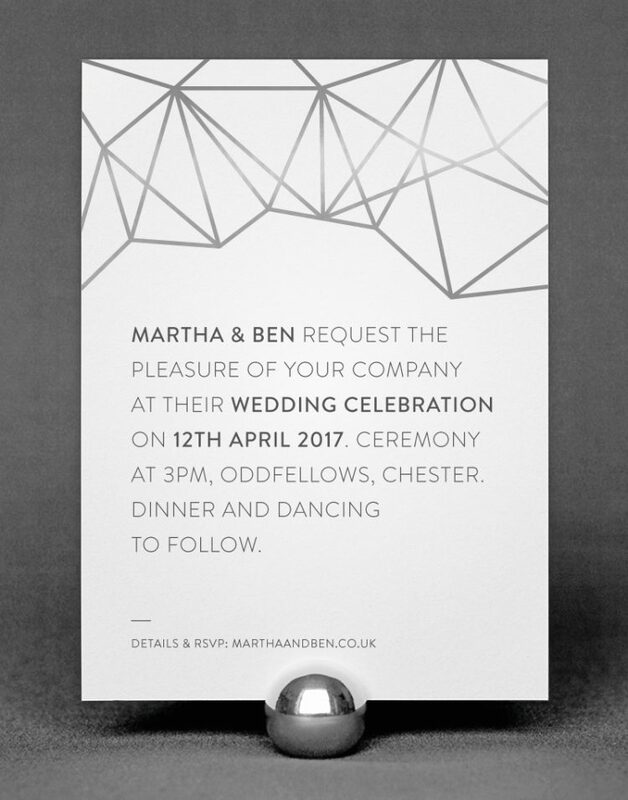 Our Choose Your Own Flowers invitations are a versatile option as we’ll create a bespoke design just for you. 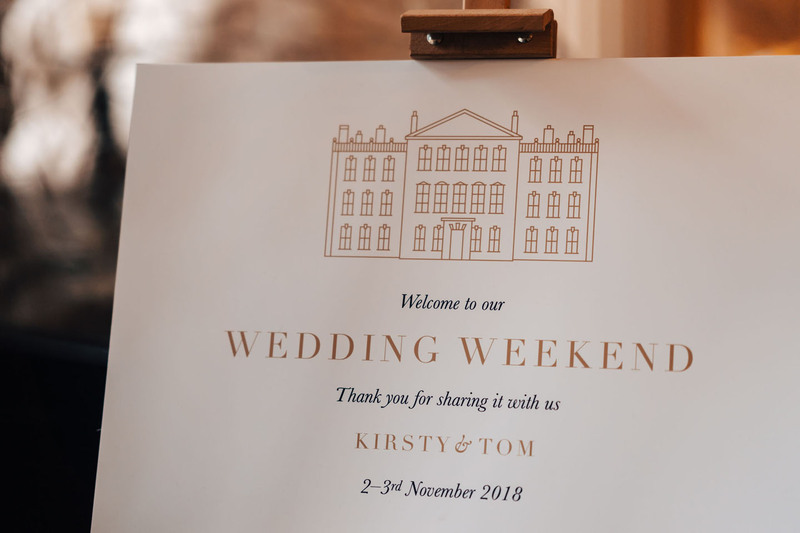 A sign to welcome guests as they arrive at your ceremony or venue is an extremely trendy item right now. In fact, we’ve had so many requests for these, we’re adding a new category to our online shop (watch this space). The design can reflect your wedding theme and looks particularly striking with one of our modern venue illustrations. Get in touch if you’d like to request one for your day. Last year, Terrazzo was the biggest interior design trend with those in the know adding a glorious array of flooring, surfaces and accessories to their home. 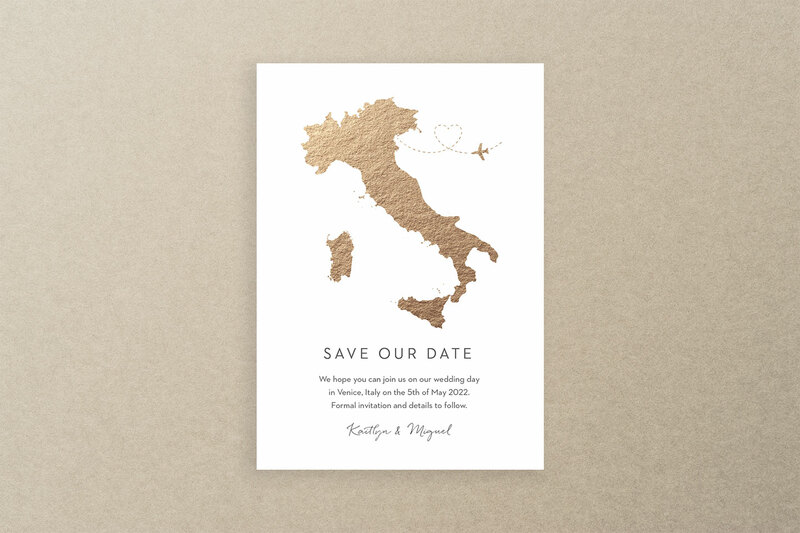 This retro Italian style has now crossed over to the wedding arena for 2019, and we’re delighted to welcome it with our Terrazzo invitations. 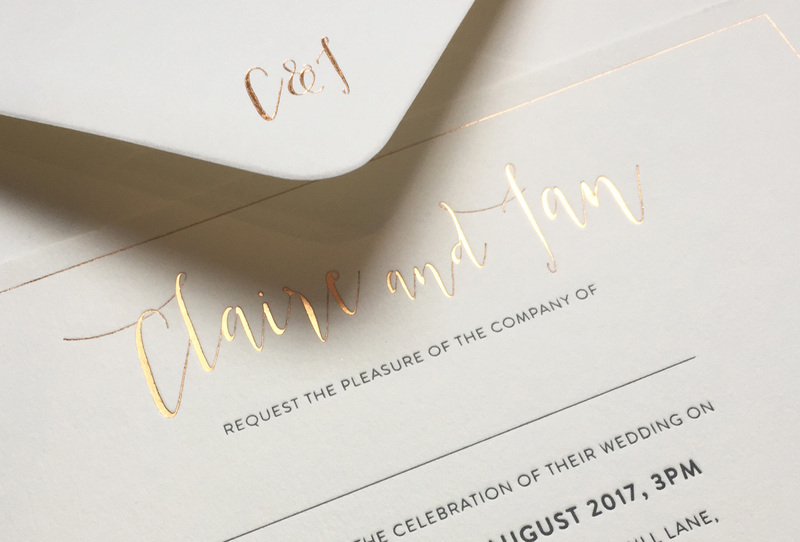 The patterns are an excellent excuse to add lots of foil to your stationery, and they set the tone well for a contemporary wedding day. 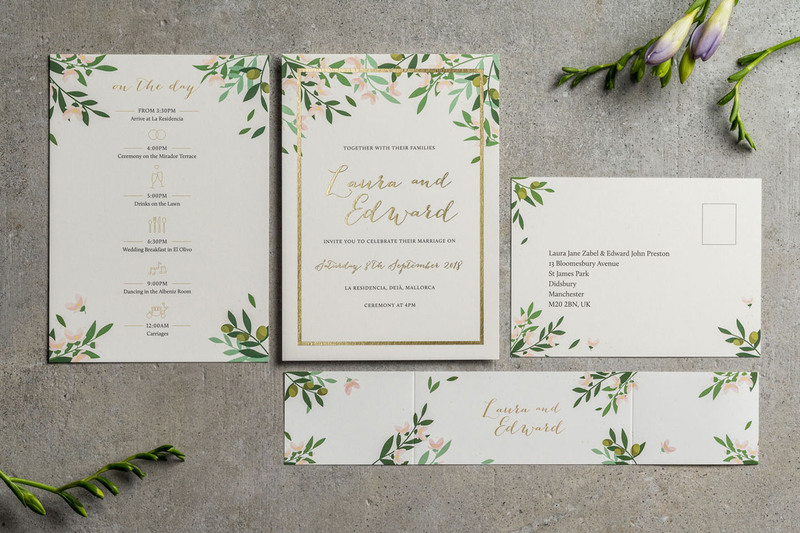 As we’ve mentioned, flowers are currently popular, but there’s also a wedding stationery trend this year towards using leaves and greenery on invitations. 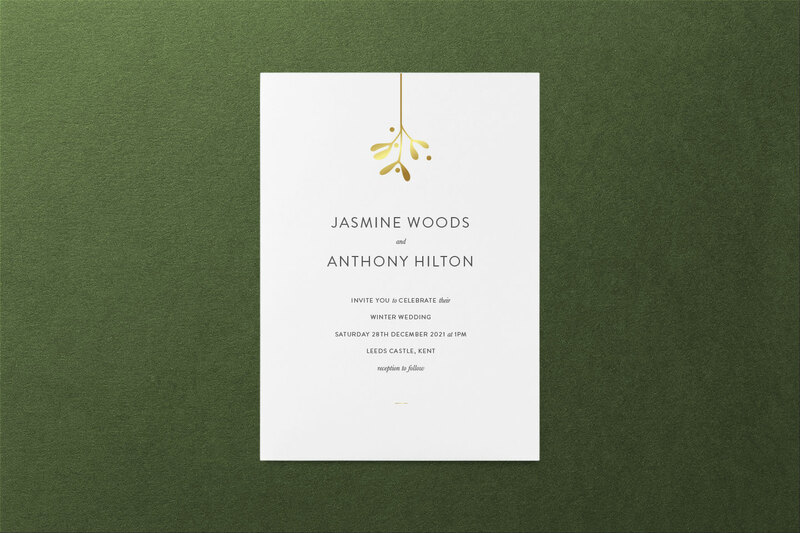 This example shows our Choose Your Own Flowers design with billowing ivy, mistletoe and holly for an exquisite winter wedding. Alternatively, eucalyptus and sage leaves are good options for a summer wedding, while olive leaves are perfect if you want a Mediterranean feel. Wedding stationery planning tip: Leaves don’t necessarily have to be green. Experiment with different foil and card colour combinations to complement the rest of your plans. 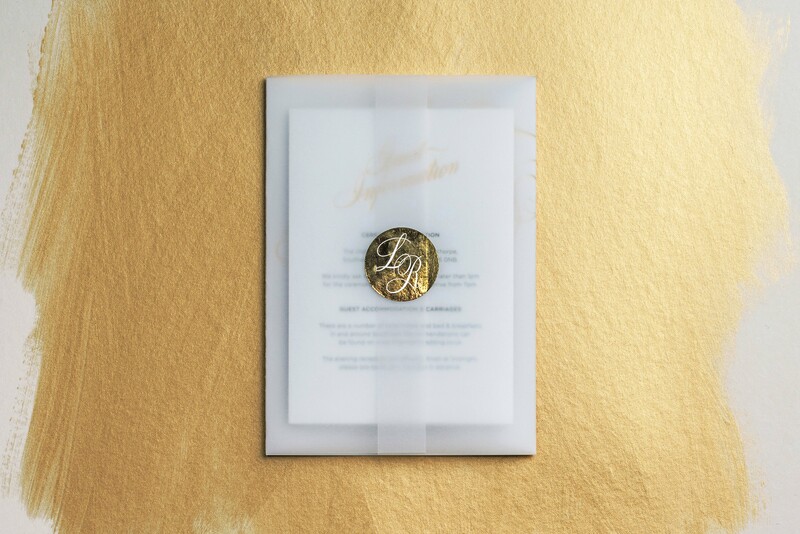 Our new Fern Invitations for example, which have a gold monogram pressed over a delicate white fern. Not only can you find lower prices for venues, caterers and musicians during the colder months, but they’ve also often got more availability too. 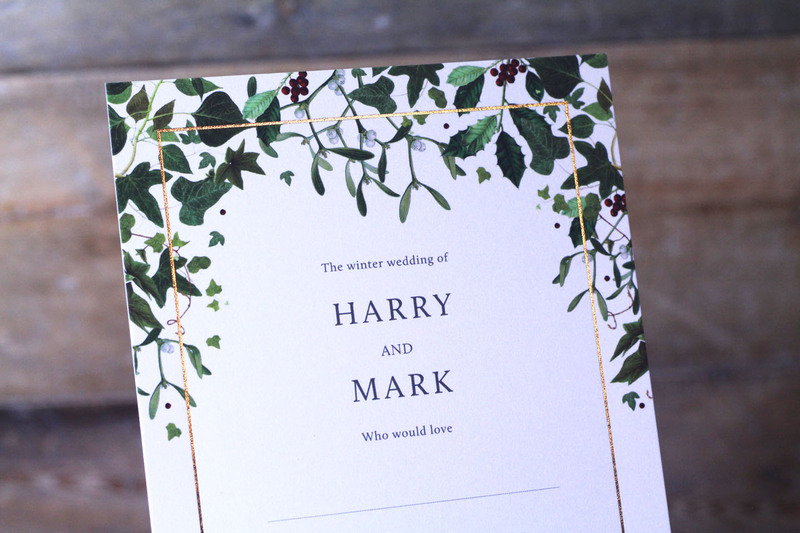 So, it’s no surprise that there’s an increasing number of winter weddings and an emerging stationery trend to suit. Snow white foil, icy tones and sophisticated silver foil are the stars of this festive season. 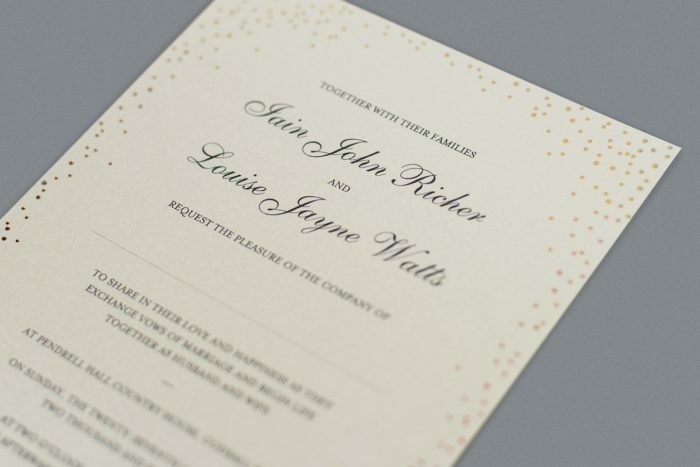 We recently shared ten gorgeous winter wedding stationery ideas on our blog too. 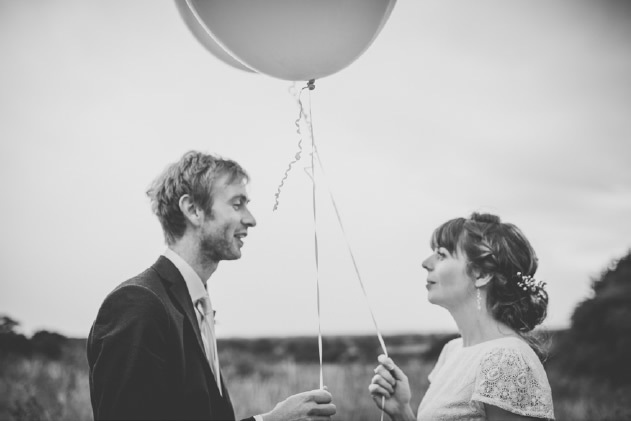 For more winter wedding ideas: Check out Linzi and Craig’s dreamy white winter wedding. 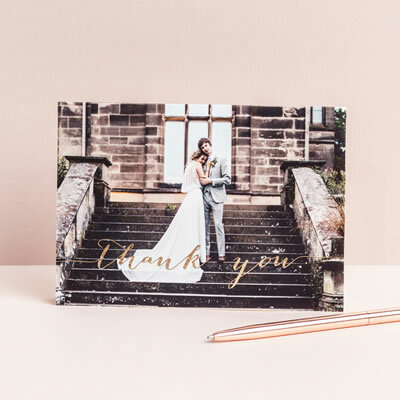 Inspired by the wedding stationery trends for 2019? It’s easy to see why you would be. As a next step, you can order a sample pack to get a closer look and feel of our hand foil printed products. They’re bursting with goodies to help you decide what you’d like for your wedding day. Alternatively, book a complimentary consultation in our Chester studio, and we’ll go through all the options with you.